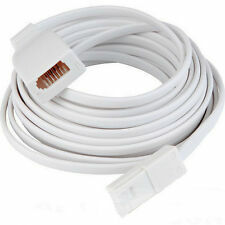 Our cables are high quality fully wired 4 pin cables. 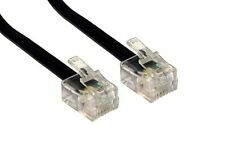 They are suitable for all RJ11 applications - even if your original cable only has 2 pins. Connections: 4 Pin RJ11 Plug - 4 Pin RJ11 Plug. Length: 1m. The pass. It is adapted to the needs of modern wireless communication manager. Working Temperature : 0 ~ 55 degree. Large -capacity phone book ( 200 PCS). Support sung live ring tones. Output power : GSM900 way : Class 4 (2W). Stay up to date no matter what: the Gigaset C430A with an integrated answering machine picks up when you’re unavailable. Like all Gigaset cordless phones, it variably reduces the transmitting power from the handset to the base station depending on their distance apart. Adding more lively for your life. Muti-fuction like voice-frequency dialing, flash, re-dial the last number, etc. It is wonderful for daily use or just for collection. Also a perfect gift for friends or families. With the L410 you can answer incoming calls effortlessly at the touch of a button, or transfer calls from your cordless handset to the clip. Ideal for anyone who likes to multi-task or simply enjoys the comfort of talking hands-free. Install This Machine In the front line, otherwise it will affect the Display of Incoming Calls. Install this machine in the front line, otherwise it will affect the display of incoming calls. Designed with only two springs for battery connection as picture, can properly work by two batteries. The real color of the item may be slightly different from the pictures shown on website caused by many factors such as brightness of your monitor and light brightness. Working temperature: -10degree Celsius~50degree Celsius. The Loop plus has a large blue backlit display and keypad as an added feature, fusing design with functionality. There is a 25-minute answer machine function which is simple to use and is operated using the handset. BT's toughest phone with 1KM OUTDOOR RANGE! NEW Digital Cordless Phone. BBT's toughest phone with 1KM OUTDOOR RANGE! NEW Digital Cordless Phone with answer machine. easy access to BT calling features. These batteries have a minimum capacity of 800 mAh. Also Known As HR03, LR03, MN2400, MICRO, 24A, 24AC, 4003, 824, AM4, E92, K3A, FR03, ND61R, R03. Specialist Batteries. GP Batteries. Watch Batteries. FM RDS Radio. 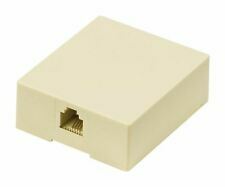 Wifi standard 2.4GHZ - IEEE 802.11b - 802.11g. Internet Radio. Internet FM radio available in the country. Wireless connection. Analog radio. FM radio list display. Automatic network seeking. SKU : 005890. 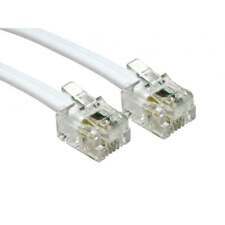 RJ12 TO RJ12 (6P6C) WHITE 3M FLAT CABLE. RJ12 to RJ12. External wall mounted BT 66B box connection joint box in sealed bag. Mills Scotchlok Crimp Plier. You are purchasing 1 Mills Scotchlok Crimp Plier. Excellent quality crimp tool. This jelly crimper has plastic coated handles and cutter for preparations of the conductors prior to crimping. A Replacement USB 3.0 OTG Cable for SAMSUNG Galaxy Note3 to support USB devices such as External Hard Drive, Keyboard, Mouse even PS3 Gamepad. The connector is made with copper with silver molding. 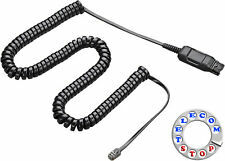 It's a high specification cable, designed for maximum signal transfer, clear voice integrity and optimum performance. New listingBT Duet 210 Corded Phone, White. New in Box. Brought recently but never used. therefore new in box. see pictures. BT DIVERSE 6350 WITH SIM CARD PORT. --- BT 9500 Halo Cordless Home Phone Nuisance Call Blocker Answer Machine Black 12 months Warranty BT Call Blocking - Number Blacklist The phone is complete with our premium nuisance call blocking technology, which gives you complete control over which calls you want to take and which you want to block. The BT Halo also has handing mobile syncing capability, allowing you to sync and store up to 2000 of your mobile contacts on your home phone. Make and receive all your mobile and landline calls from your BT Halo. Connect your mobile via Bluetooth technology, to help avoid mobile signal drop outs as you walk around the house, all from the comfort of your BT Halo. The BT Halo’s Bluetooth functionality means you can take advantage of the areas in your home with the strongest mobile signal. This stretched length of this cord is 60" (not including the leads on the end.). The conductor colors are red, black and 2 whites. The restraint on the phone end is a hook while he restraint on the phone end is a "T" type. Type MyIC Phone Cord. (1) Plantronics Spare Phone Cord of APA-23 EHS Cable. 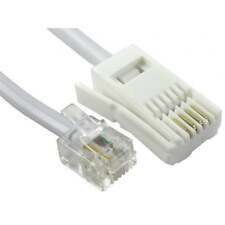 RJ9 modular Plug to SATA Type Connector Cable. Connector Type SATA Connector. BT162342/ BT262342 /2SNAAA70HSX2F / BATT-E30025CL. BT162342 / BT262342 / 2SNAAA70HSX2F /BATT-E30025CL. HQRP trademarked products. Cordless Phone Battery compatible with VTech. Cordless Phone Battery;. Clearline™ audio technology. The Quick Disconnect™ feature between the amplifier and headset lets you move away from your phone without removing your headset or disconnecting the call. (1) Refurbished Plantronics M22 Vista Universal Headset Adapter Amplifier. RETRO PHONE WITH PUSH BUTTON DIALLING. Push Button Dialling. Tone & Pulse Dialling. GPO CARRINGTON IN BLACK. NO ELECTRIC REQUIRED - JUST PLUG INTO BT WALL POINT. Ringer On/Off switch. High Quality Products at Great Prices. No problem! You can even use the device to make conference calls directly from the app for added convenience. Setting up the Voice Bridge couldn’t be simpler. The Voice Bridge app will guide you through the entire process, which only takes a couple of minutes. New batteries fitted and tested working well. V-TECH BT162342 / BT262342 / 2SNAAA70HSX2F /. VTech BT162342 / BT262342 / 2SNAAA70HSX2F / BATT-E30025CL. HQRP trademarked products. 2X Cordless Phone Batteries compatible with. 2X Phone Batteries;. Keep in touch with friends and family and never miss a conversation. Carriage Free. They are very simple to use, insert one wire in each hole and just squeeze down using pliers. The wires do not need to be stripped as the IDC connection in the crimp does that for you. New listingBT Freelance XD7500 Cordless Telephone and Answering Machine. New Batteries ! Cleaned and tested with new batteries installed. Panasonic KX-A 405 DECT Repeater: Extend the range of your Panasonic Cordless Phones. Why Should You Buy this DECT Repeater?. (The rest of the system is required for proper function. Keyboard & Mice. Warranty information can be found at the bottom of every product’s page. Guam, Puerto Rico, Virgin Islands, etc. ).